I am a very inexperienced gardener, so any help is greatly appreciated. I think you have already given the answer to your problem. Once fruit like figs and melon and even cherries have started the ripening process the outer skin ceases or at best slows right down in its growth. If you then get a heavy fall of rain the fruit is encouraged to swell more....but the skin can't increase in size to keep up....and it splits. That's why you should never water melons once they are ripening and protect cherries with a rain covour once they are ripening. Figs in their natural habitat would never see rain in the summer months at all. 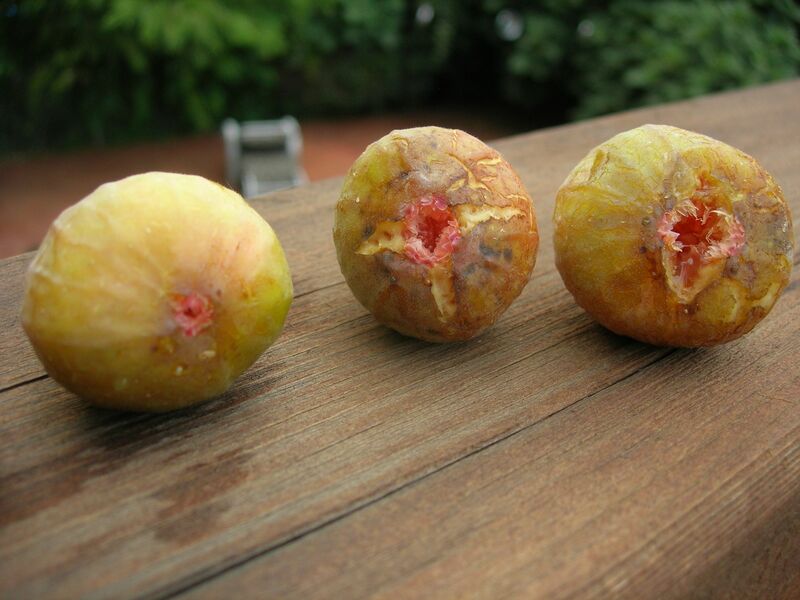 Mind you....those split figs will still taste good...if not better !! Thanks for the help everyone. The figs are coming out like crazy on my HUGE fig tree. We are enjoying a great bounty and sharing them with friends. Have a great summer!